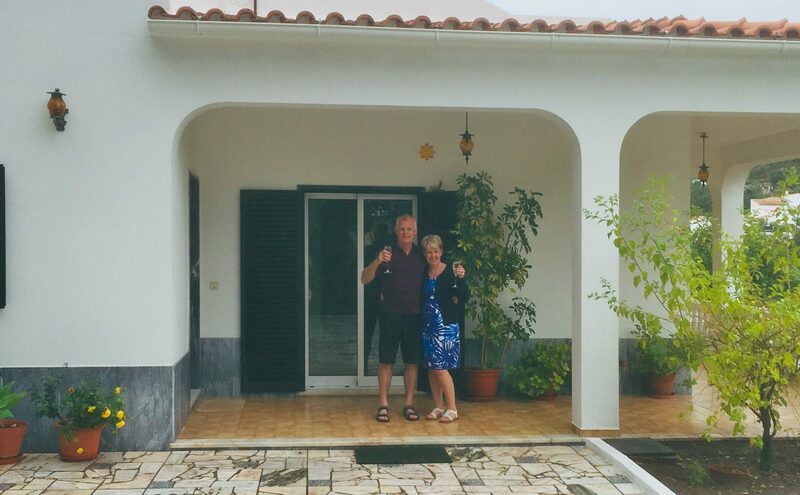 David and Helen Lee are celebrating having just bought their dream home in the village of Alportel in the West Algarve. They’ve just made the move over to sunny Portugal – and we caught up with them to find out how they found the property and their top tips for anyone thinking of doing the same. Tell us about your property – we hear you’re delighted with it! Where have you bought and how do you intend to use it? We’ve bought in the village of Alportel, in the eastern Algarve. It’s a white bungalow, which we’ll use as our permanent residence. We’re moving out shortly for good – I’m over here from the 30th, and my wife will join me two weeks later once she’s finished her notice period at her job. She’s probably got the better deal because I’ll be doing all the initial work! Helen and David have bought a beautiful home in the village of Alportel, Portugal, after meeting Abigail from IAD at Your Overseas Home. When we were looking for our property, we had a few key requirements. We wanted to be in a hamlet, not in slap-bang in the middle of town or in a conurbation with neighbours through the walls. We wanted a garden and we wanted three to four bedrooms. We also wanted the ability to walk out to a café or restaurant and somewhere to buy immediate provisions. We’re in quite a local area, which is fantastic. It’ll really help us to learn Portuguese and mix with our neighbours, who aren’t just expats – to get a taste of local life. Was this move something you’d spent a long time considering? In a sense, it was, but it only became viable really about a year ago. We also had March 2019, the Brexit deadline, always in our minds. We wanted to have bought and be settled and also registered in the country by that point. 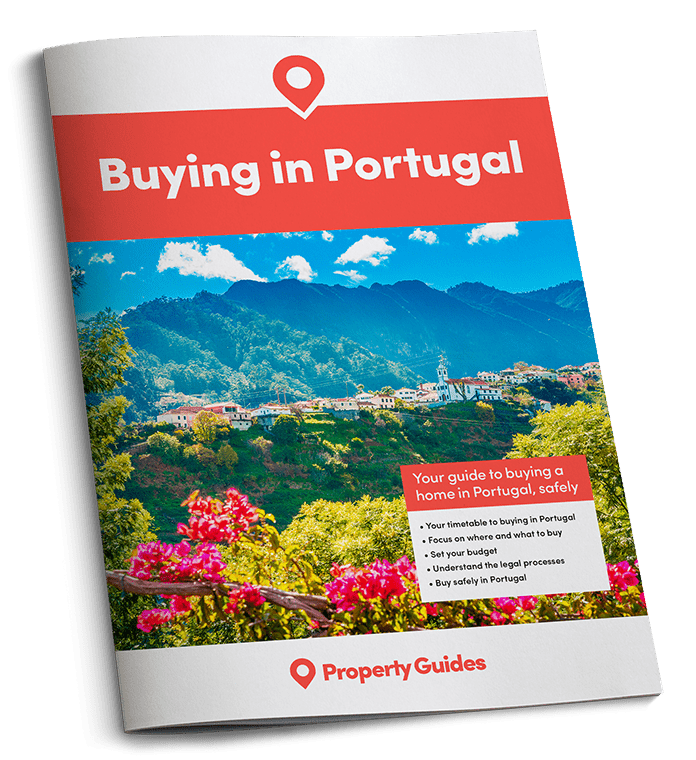 We were registered with Portugal Property Guides and we were getting the bulletins in our emails, so we were looking at them, reading the Brexit sections, driving licences and getting up to speed with it all. It was useful to have that advice in one place. 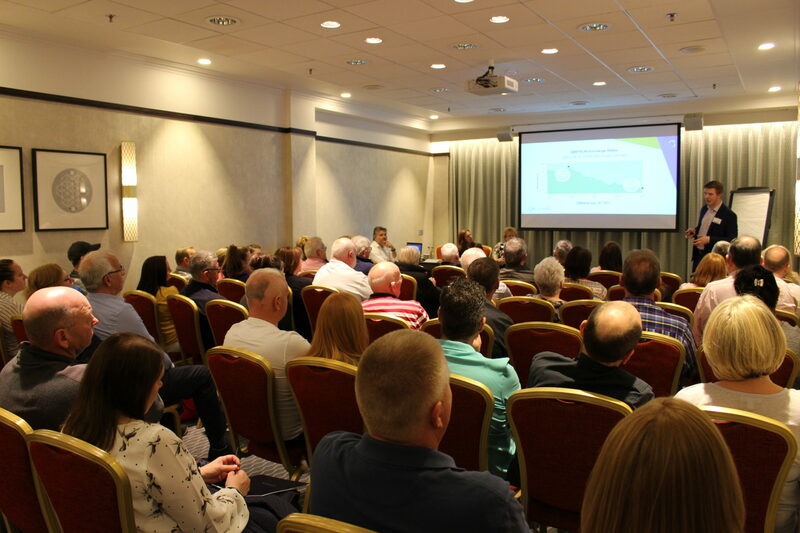 Then, we attended the Your Overseas Home event in Glasgow in June, and that was when everything really started. We made contact with Abigail Normand from IAD Portugal, an estate agent who was attending the show, and we booked an appointment to speak with her. We attended the Your Overseas Home event in Glasgow in June, and that was when everything really started. We made contact with Abigail Normand from IAD Portugal, an estate agent who was attending the show, and we booked an appointment to speak with her. We also attended the Portugal buying seminars, which were very useful. Abigail spoke about understanding the market, and there were also other seminars on legal guidance, affording a property and tax planning. So it sounds like Your Overseas Home was a key element in getting your purchase ‘on the road’. Absolutely. One of the things we found was that, with the buying process in Portugal, if you go directly to the estate agents, they effectively pull you in and register you and no-one else can talk to you. They’re not supposed to share commission, but there’s so much penny-pinching and nonsense going on. We went through Property Guides and Your Overseas Home to cut across that, and when we had the meeting at Your Overseas Home that we’d set up with Abi from IAD, she was like a breath of fresh air. She was working for us, not for herself. How did you find the process of actually searching for your property? It was fantastic. We had a lengthy meeting with Abi and then, within two weeks of her going back home to Portugal, she’d arranged our first viewing trip, with eight properties. She picked us up at the airport, she bussed us around, showed us what was available and we never, ever felt like we were being forced into a sale. On the other hand, going out with another agent previously, we practically felt like we were being demanded payment on getting in the cab from the airport. We tried on numerous occasions to buy Abi lunch but she wasn’t having any of it! In fact, the proof of that was that we had three viewing trips in total. We started off with a list of requirements, and all the properties met those requirements, but through showing us those homes, Abi helped us to nail down further points or aspects we hadn’t thought of. Throughout the process, she was very thorough. On the third visit, it was the perfect one that we ultimately bought. There were actually two or three that we really liked, and we offered on one, and we are where we are now! Find out more about what to look for when seeing homes overseas in our free guide, Your Viewing Trip. With this last viewing trip, we couldn’t go out immediately, so she visited the preferred property on our behalf and made a video. That way, we could fully appreciate it and see it as it truly was rather than just photos. She was right – it was perfect. We couldn’t wait to go out and see it! Abi even managed to agree an option to acquire a bit more land to give us a bigger garden. In four months from meeting Abigail, she identified our perfect new home and we now have the keys! So, in four months from meeting Abigail, she identified our perfect new home and we now have the keys! And once you found the property, how did you find the process of transferring your money? We actually also spoke to Smart Currency at the Your Overseas Home show. When we started this search, the exchange rate was way up at 1.15 and then went all the way down to 1.10. With the fluctuating pound and euro, it’s very difficult to bring something in on budget. We used Smart for our transfer after meeting them face-to-face and it was very professional, very efficient. We had three or four deadlines, and the money went through smoothly and quickly. With £40,000, it was very comforting sitting in the lawyer’s office knowing that Smart was working in the background and that it wasn’t going to bounce! David and Helen attended Your Overseas Home in Glasgow, where they spoke to, among others, Portugal Property Guides, IAD Portugal and Smart Currency Exchange. Our second transfer we did with a forward contract, to lock in the same exchange rate – we didn’t know if the pound was going to crash or not. We were really concerned we’d have to find another £10,000 or something. If, like David and Helen, you’re concerned about changing exchange rates adding thousands to a property price, we can provide you with an introduction to Smart Currency Exchange, who will help ring-fence your budget against risk. Finally, what would you top tips be for anyone just starting thinking about buying in Portugal? Firstly, don’t just visit the estate agents’ sites directly because all they do is register you. If you can use an event like Your Overseas Home to hook up with an independent agent, who’s local, who knows the lingo, and knows the ground rules, like Abigail, that was our biggest learning point. We wish we’d met Abigail a lot sooner! Ready to purchase in Portugal? If, like David and Helen, you’re dreaming of a new life in sunny Portugal, start your search today. Download your free buying guide below and get your introductions to trusted estate agents, mortgage brokers and solicitors. Plus, if you have any questions, your Portugal Specialists are just at the end of the phone in the Resource Centre on 020 7898 0549. You can also send them an email on portugal@propertyguides.com. Finally, if you’re looking for a home above €500,000, do make use of our free luxury property service, Distinction by Property Guides.